Snow White Pearl 2019 Kia Sedona EX FWD 8-Speed Automatic 3.3L 6-Cylinder. You'll have all of the space you need and can ride with comfort in this 19 Sedona. This vehicle is well equipped with Dual Screens with DVD player & device mirroring, a pair of Harman-Kardon headphones, a 7" inch touchsreen & Rear Camera, Android Auto and Apple CarPlay Smartphone integration, Sirius XM Radio, Bluetooth Wireless Technology, Leather Seats, Heated front seats, Power Driver's Seat, 2nd row Slide and Stow Seats, 3rd Row 60/40 Split Fold in the Floor Seats, Dual Power Sliding Doors. Plus you'll get advanced safety features Blind-Spot Collision (BCW), Rear Cross Traffic Collision Warning (RCCW), Parking Distance Warning Forward and Reverse and UVO eServices. 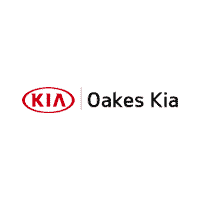 You'll want to see this Van at Oakes KIA.